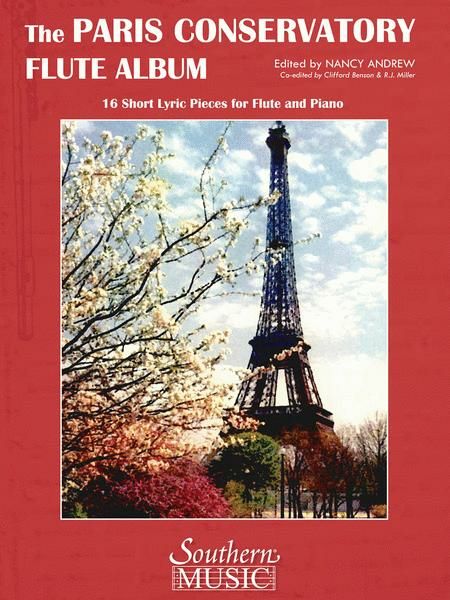 This collection is the first-ever publication of 19th-20th Century exam pieces composed for the Paris Conservatory, meticulously compiled, arranged and edited over the course of many years by accomplished flutist Nancy Andrews. 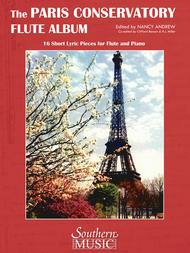 All 16 pieces include solo flute part with piano accompaniments. Optional digital downloads are available as well of the original cello/string ensemble accompaniments where available. Sir James Galway's introduction to the album states: “It is my great pleasure to present this collection of pieces originally intended as the sight reading exam for the flute class of the Paris conservatoire. Each piece is a little jewel and could be used as an encore to a recital or even in the main part of a recital. Nancy Andrew has done a magnificent job of preparing them for publication. I look forward with great joy to include them in my future recitals.” Works included: Charles Colin 1873 Allegretto, Ernest Guiraud 1874 Allegretto Scherzando, Emile Paladilhe 1875 Allegretto Moderato, Jules Cohen 1878 Andantino, Theodore Dubois 1880 Allegretto, Jules Duprato 1882 Allegro Moderato, Adrien Barthe 1886 Andante, 1891 Moderato, 1895 Allegretto, Georges Marty 1893 Allegretto, Paul Vidal 1894 Allegro Moderato, Raoul Pugno 1896 Tres doux et tres tranquille, Alphonse Duvernoy 1897 Allegretto, Alphonse Duvernoy 1899 Allegro Moderato, Gabriel Pierne 1918 Modere, Jules Mouquet 1924 Andantino.